Beverly Ann Duffy died on April 5, 2019, at age 71. She was the last of nine children born to Harvey W. and Gladys G. (Faller) Cowgill. She was preceded in death by brothers Eugene, Charles Frederick, and Larry Cowgill; sisters Donna Rowley and Sandy Jones; sister-in-law Patty Jo Cowgill; and brother-in-law Richard Markuson. Bev is survived by her husband of 44 years, Paul J. Duffy; her son Brian J. (Adrienne M. DeGrands) Duffy; daughters Erin E. (William B.) Schools and Kelly A. 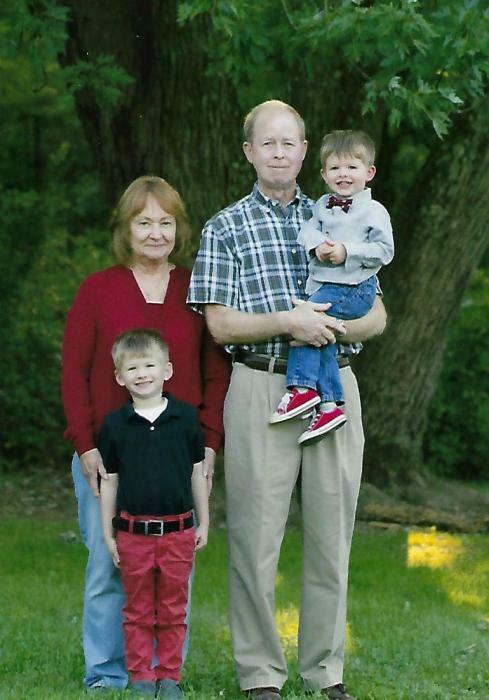 (Kevin S.) Cutshall; and grandchildren Declan W. and Conor P. Schools, all of Columbus, Ohio. She is also survived by her brother John Cowgill of Fairfield, Ohio; sisters Connie (Peter) Rodgers of Carson City, Nevada, and Nancy Markuson of Delaware, Ohio; and by her brothers and sisters-in-law Mary Cowgill of Columbus, Ohio; Shirley Cowgill of West Jefferson, Ohio; Rex Rowley of Danville, Ohio; Paul Jones of Cape Coral, Florida; Thomas and Mary Anne Brennan of Cincinnati, Ohio; John and Mary Zita Duffy of Avon Lake, Ohio; Patrick G. Duffy of Columbus, Ohio; Sr. Sally J. Duffy, SC, of Cincinnati, Ohio; Joseph and Lariana Duffy of Columbus, Ohio; Brian and Betsy Clemans of Hilliard, Ohio; Thomas J. Duffy of Columbus, Ohio; and John and Sheila Alimo of Columbus, Ohio; and family friends Rosemary Steinbauer and Anne Lamone. 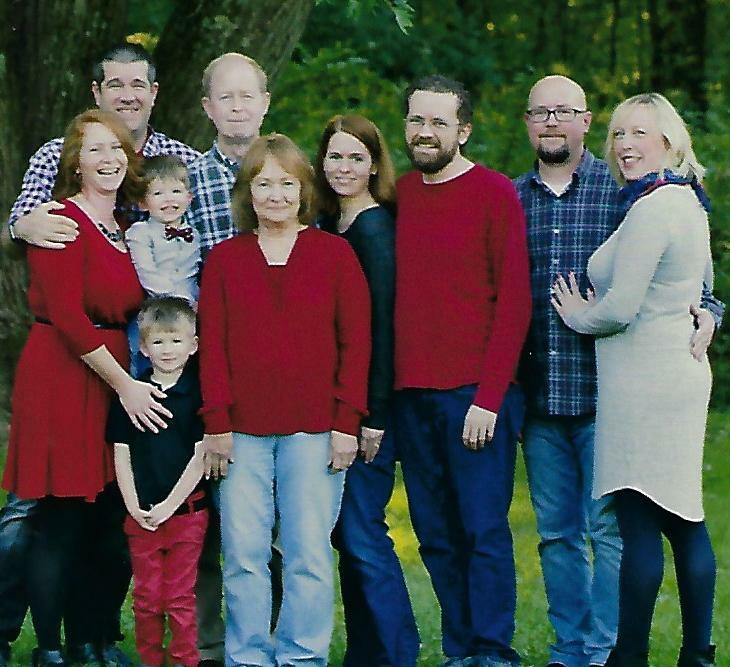 She was “Aunt Bev” to numerous nieces and nephews and grand nieces and nephews to whom she gave and received many hugs over the years. Bev was a graduate of Hilliard High School, class of 1966. She worked for several years at Columbia Gas of Ohio, where she and Paul met, before retiring to raise her family. 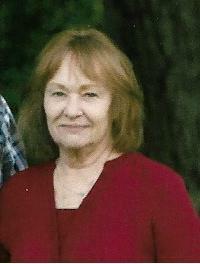 Beverly was a faithful member of Immaculate Conception Church. She was a quiet, pleasant soul who said her prayers every day. Bev was selfless, generous, and extremely caring to her immediate and extended family and never had an enemy. She loved warm weather, Cape Cod vacations, birthday and family parties, Halloween, flowers, vegetable gardens, chocolate, hot fudge sundaes, and margaritas. When she started getting her bowls and pans out in the kitchen, everyone knew that they were in for something good that evening or weekend. You were extremely lucky if she was working on a strawberry, apple, or pecan pie. She was an especially good Gee Mommy to grandsons Declan and Conor for whom she babysat five days a week. Beverly went to heaven knowing that, until we eventually meet again, God will be holding all of us in the palm of his hand. Friends may call Wednesday, April 10, from 2:00-4:00 P.M. and 6:00-8:00 P.M. at EGAN-RYAN FUNERAL HOME, Northwest Chapel, 4661 Kenny Road, Columbus, OH 43220. Mass of Christian Burial will be Thursday, April 11, 10:30 A.M., at Immaculate Conception Church, 414 E. North Broadway, Columbus, OH 43214. Burial to follow at St. Joseph Cemetery. In lieu of flowers, please consider making a donation to Immaculate Conception Church, 414 East North Broadway, Columbus, OH 43214, in her honor. 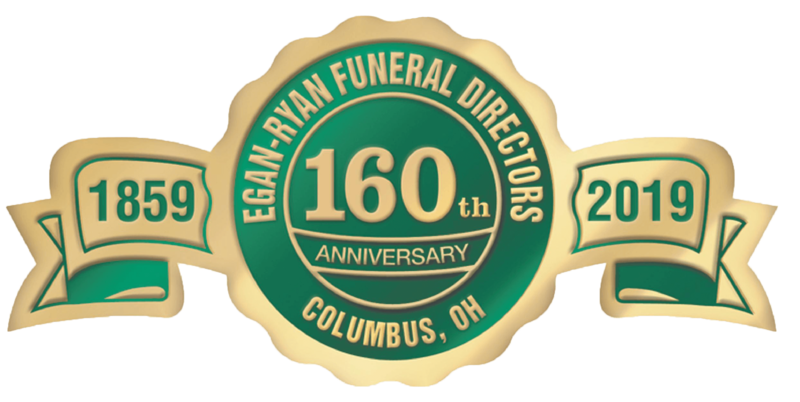 To offer condolences, visit www.egan-ryan.com.